Marine Drive is undoubtedly one of the most beautiful places in urban Mumbai. And Hotel Marine Plaza overlooks a prime area of this coastal stretch. 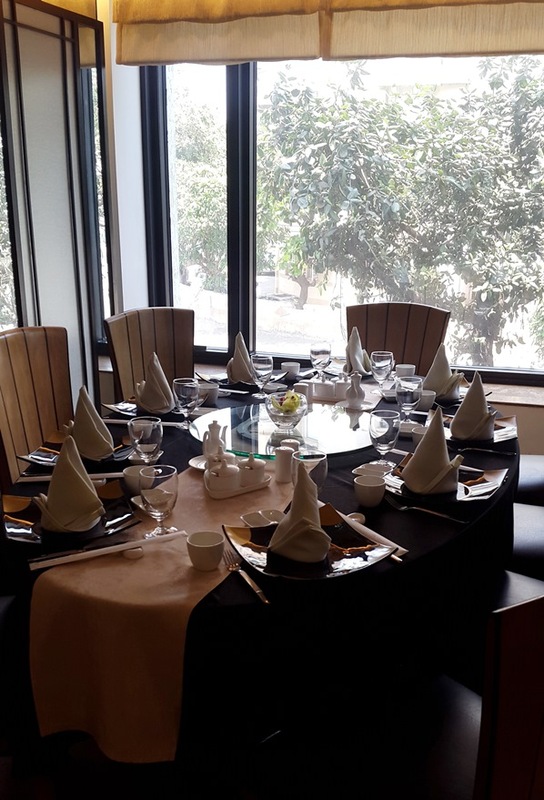 The restaurants within this five star property scale with the locality and are quite posh. 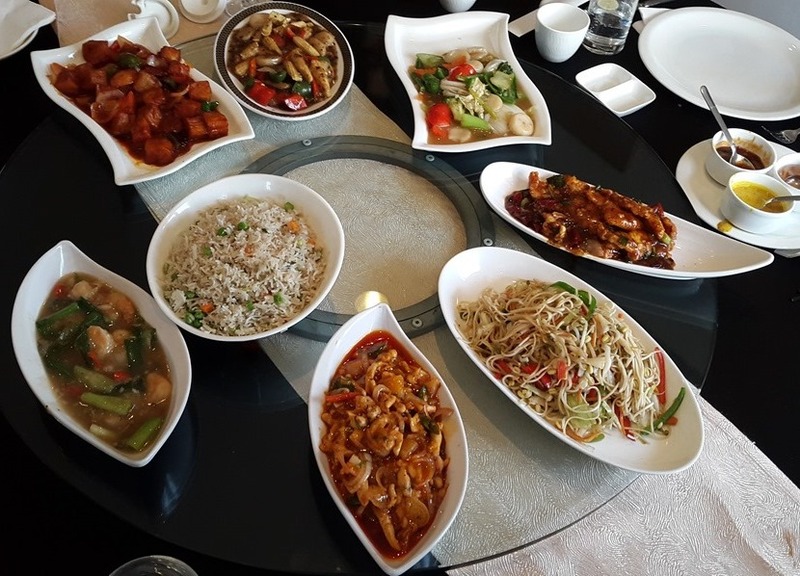 My destination for the day was The Oriental Blossom - A Chinese restaurant on the first floor of the Hotel, overlooking the sea and the neighborhood. 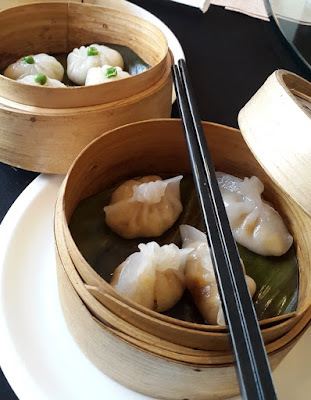 The restaurant has recently introduced Asian styled set lunches and I was there to sample the fare. So will the restaurant deserve praise shouted from the rooftops or criticism a la Anton Ego? Lets find out. 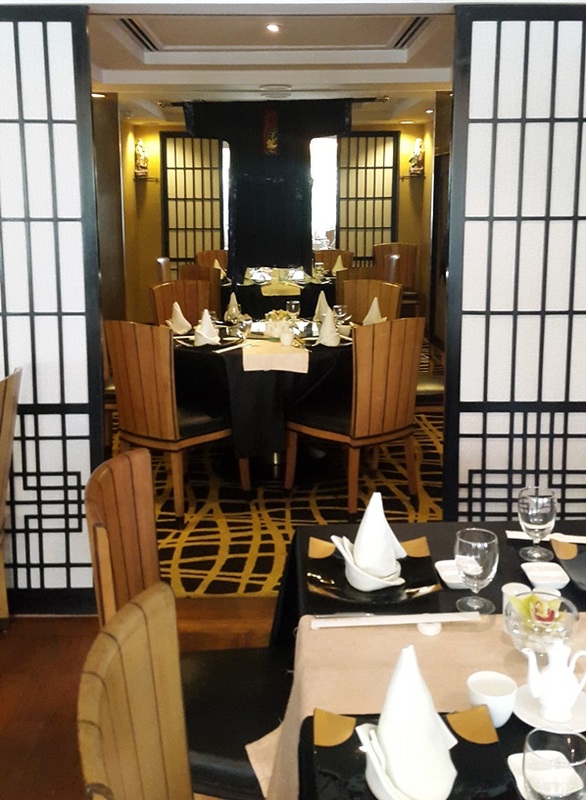 With a mix of formal Chinese themes and the classical five star fine dine, Oriental Blossom spoke of both luxury and exuberance. One could enjoy a quiet formal meal as well as have a joyful meeting with friends over good food and drinks. Gentle Asian themed music, clean air and a refined crowd sets this place in a different world from the realm of loud cafes and pubs. The first thing that caught my eye was the price tag of Rupees 1099. I sat, rubbed my eyes and thought. I am in the classiest part of town. I am inside one of Mumbai's best Hotels. 1099 is amazingly cheap. You don't need to be born in money to be able to afford this. I think that this was the friendliest pricing that I have seen in Mumbai. Set Menus usually cost twice of this in other five star Hotels in Mumbai. 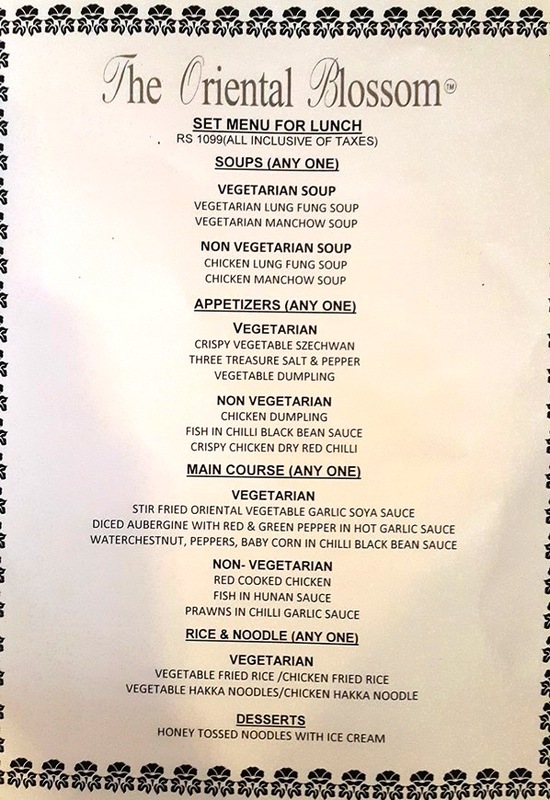 Even if I am to go to one of the numerous Pan Asian mediocrities that have sprouted all over Mumbai and order a soup, appetizer, main, a bowl of noodles and a dessert - the tab would still be over 1500 easy. This part alone makes the restaurant attractive. The menu is developed by the chefs at Hotel Marine Plaza led by executive Chef Huang Te Sing. Chef Huang is of Chinese origin but he has lived in India for so long that he has even developed an Indian accent. He is also well acquainted with local food and flavors. 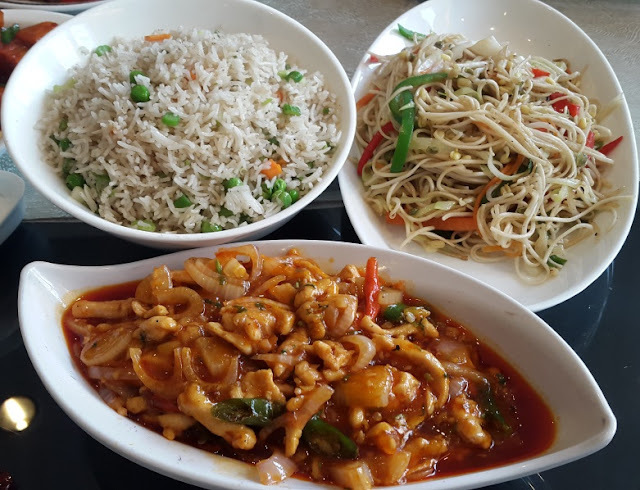 Combining his knowledge of Chinese food with the understanding of Indian gastronomes, Chef Huang has crafted Chinese food that is adapted for Indian palates. 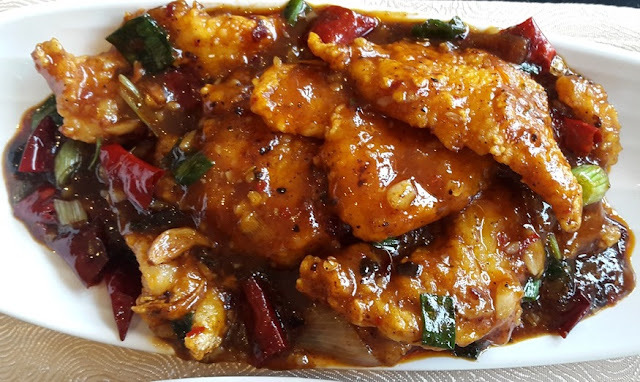 The food's base structure is very Chinese but the spices and flavors have been adjusted a bit. Chef Huang is very friendly, down to earth and as pleasant as the food he makes. Lung Fung Soup - The actual Lung Fung soup is a mix of Snake and chicken but in India no one would ever eat snake. Hence the Lung Fung soup in India is always made of Chicken and vegetables. 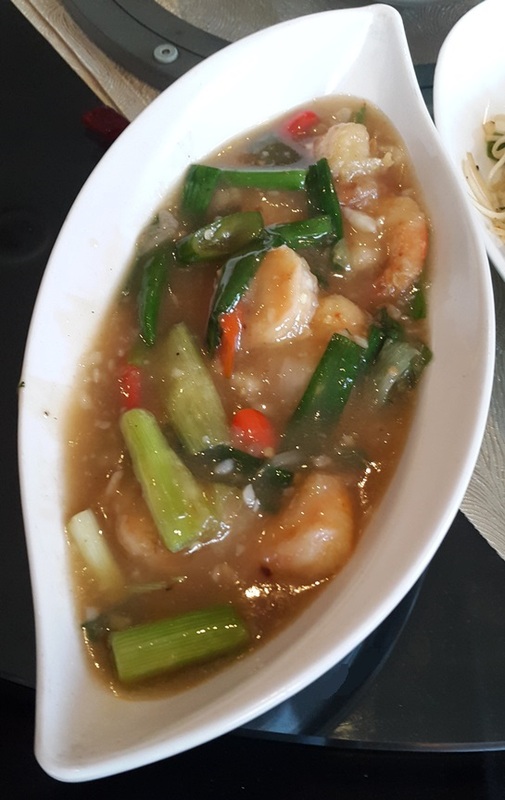 The flavor of Oriental Blossom's version was sweet and sour and resembled the Asian soup mixes in many fine and casual dines. It was somewhere between a Sweet & sour soup and an Eight treasure soup in terms of flavor. In case if you are wondering what Manchow soup on the menu is. 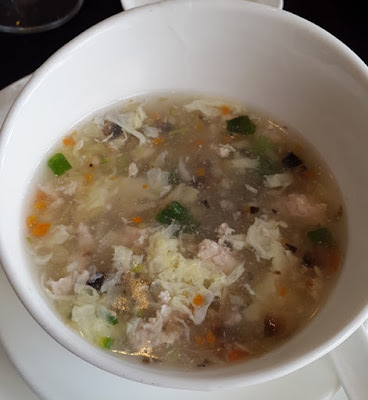 Its a soup with origins in the Indian state of Meghalaya but often believed to be a Chinese soup. 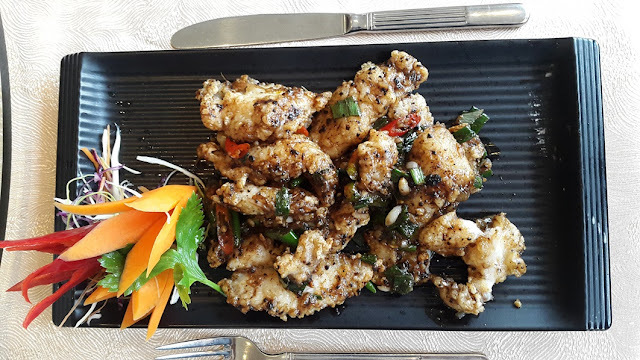 Crispy Chicken was a delicious and an addicting appetizer. It felt like the love child of Chicken popcorn and hot cheetos in flavor. 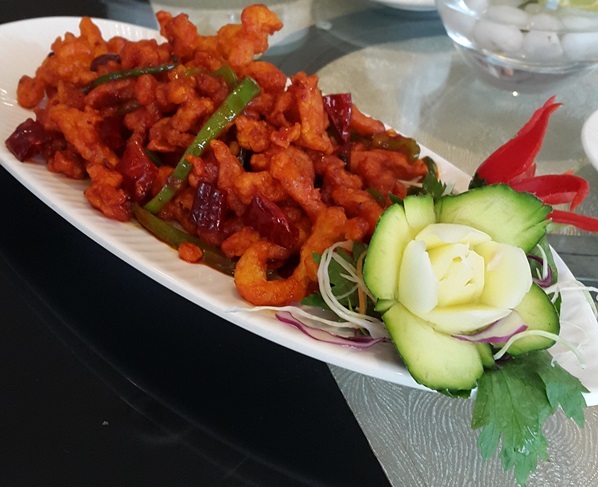 Its spice mix seduced the taste buds while its crispy chicken made it very much like a snack. Easily the best of the appetizers and would always be my choice in the set meal. Chicken Dumplings were average in flavor. Nothing much different from variants that I have had in most other places. But then again dumplings are supposed to be a staple in today's times. Fish in Chili black bean sauce was a pretty little appetizer. Though the usage of Basa initially put me off, the batter coating was quite delicious. The black bean sauce too had been drizzled carefully. Neither too much nor too less. It had a ginger like earthy appearance but a delectable flavor and aroma. Fish in Hunan sauce was a Basa based main. One has to appreciate the skill of the chefs as this was some of the best Basa that I have had. Far from the pedestrian Basa fare that we have grown accustomed to in the past half a decade. Pleasantly fragrant and visibly appealing, this dish went great with the Hakka Noodles. I would recommend this if you want Fish in the set. One could ditch the Fish appetizer, take the chicken and settle for fish in the mains. The flavor profile is subtle though the salt is slightly higher. Prawns in Chili garlic sauce was something that I would not pick in the set menu for an order. The flavor was uninspired and median. This could use improvement. Red Cooked Chicken was a decent main. If one prefers chicken over fish then this is the to go item. The chicken was juicy with vibrant flavors and had a spicy undertone which could be perceived while swallowing. It also paired greatly with both the rice and the noodles making it an all around good main. The set priced at 1099 is a decent fare for anyone with an Asian craving and the desire to eat at a beautiful place. It does have its shortcomings too. No Chinese fare or set meal is ever complete without the inclusion of a pork based dish. The lack of any pork option was conspicuous by its absence. Maybe this can be rectified in the future. 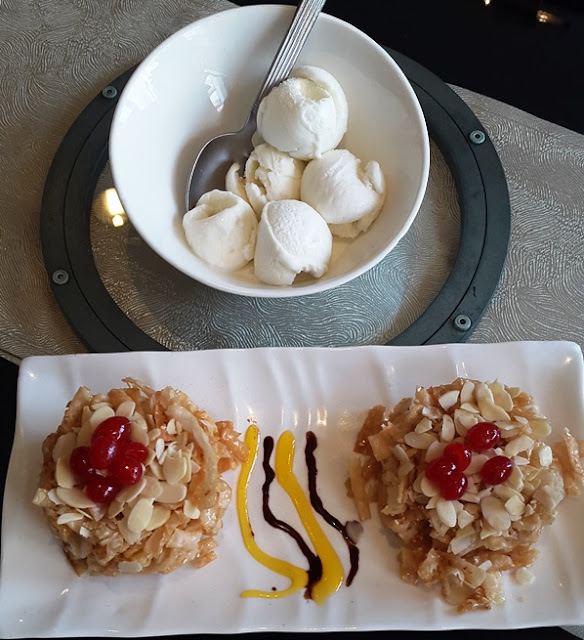 The Honey tossed Noodles with ice cream served as the sweet part of the menu though I would have preferred a different dessert. This was far too common place now days across Chinese menus. Something like Grass Jelly, Red Bean soup or almond Jelly would have made better options. The Ambiance, service and the pricing are all excellent. The food has its ups and downs but in all completeness, this was a great experience. I am still amazed at how the restaurant manages such an easy on the pocket pricing given that its within a five star in a super prime location. All good for us, the food loving folks. Though it should be noted that it is for Lunch only.